In the evolution of jazz “riches,” this is important. Ragtime structure is classically evolved: as symphonies have movements, ragtime has “strains.” But in European classic tradition, musicians play not their own style, but what is on the page, in accordance with the conductor. In ragtime (and its God-child Harlem Stride), players began delivering the sound they heard, the way they heard it. 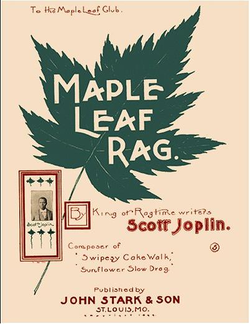 In ragtime, American music morphed from composition-based to performance-based. This is the tradition of jazz—music as played, rather than as "written." Starting with ragtime—based on “ragged” rhythms—jazz evolved into a music where, as Louis Armstrong described, “the boys are ‘swinging’ around, and away from, the regular beat and melody.” They take the music away from the score, as a painter might render his vision of a landscape. 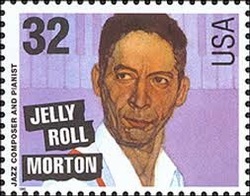 In this presentation, we follow the tradition, hearing how the “rag” of Joplin’s early syncopation evolved into the swing of Jelly Roll Morton, the polyphony and polyrhythms of New Orleanians like Jimmy Noone and Sidney Bechet, and the big band thrust of Fletcher Henderson and Duke Ellington.